AC/DC Have a drink on us with this laser-etched Polar Camel black vacuum insulated growler with swing-top lid. Let everyone know it's yours by having your name engraved on it. This 64 oz. 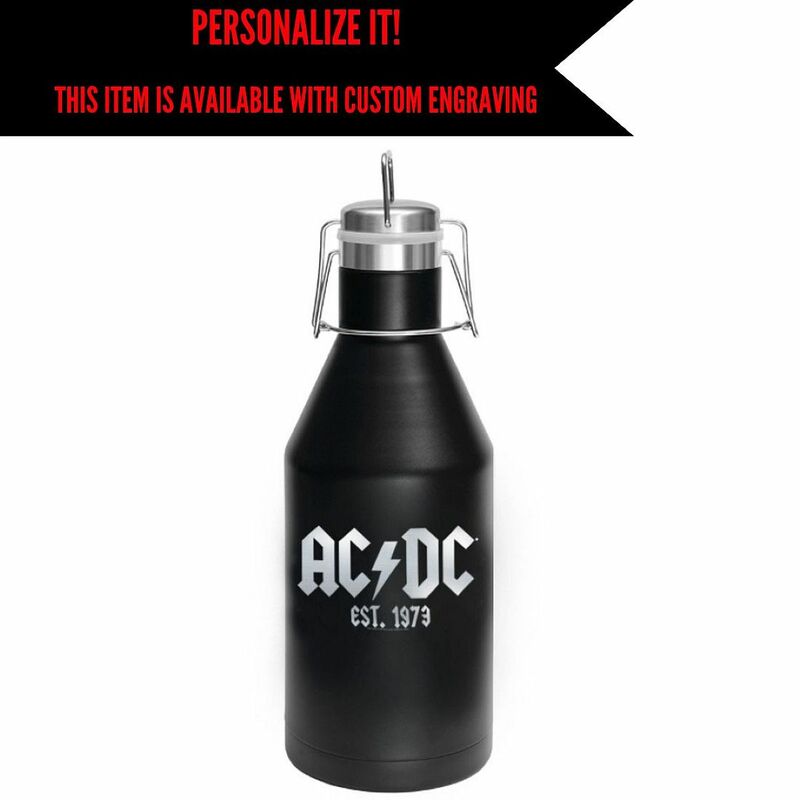 stainless steel growler features double-wall vacuum insulation with a swing-top lid. The Polar Camel Growlers are 2X heat & cold resistant compared to normal growlers.This is a print-on-demand item. Please allow three extra days for processing and shipment of your order. Print-on-demand items may only be returned or exchanged in the case of a damaged item.